What a great title for a book – it was used by Rex Nan Kivell (1898-1977), for his self-published encyclopaedia of portraits of those people from the 15th to the 20th century, who had links with Australasia and the Pacific. A colourful character himself, Nan Kivell collected the portraits that went into the book. He was a major contributor to the collections of the National Library of Australia. At present an exhibition of works related to Nan Kivell’s book is on display in the NLA’s ‘Treasures’ Gallery. 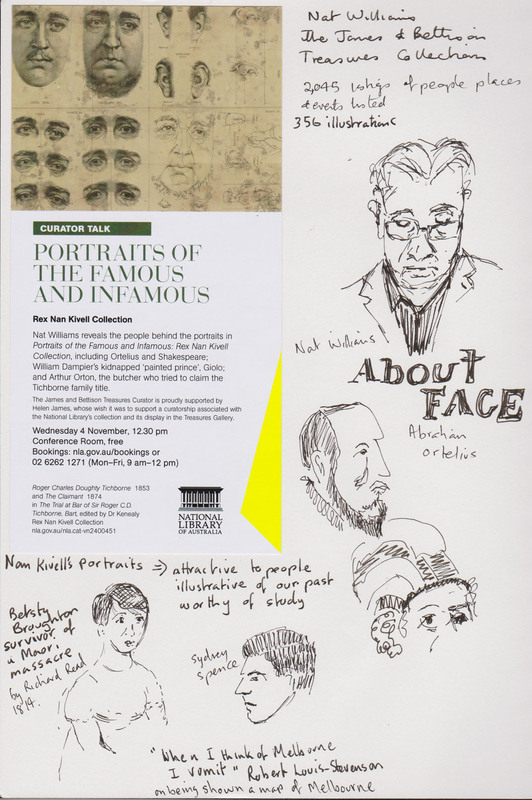 I took the time while attending a lunchtime talk on the exhibition to practice a bit of portraiture myself, along with capturing some of the faces that appeared on the screen during the talk. Up in the top right-hand corner is Nat Williams, the curator of the exhibition. Below him are Abraham Ortelius, the map maker; Betsey Broughton, survivor of a Maori revenge attack, who lived into her 80’s and is buried about an hour and a half’s drive from Canberra at the charmingly named Bong Bong cemetery. Sydney Spence a close friend of Nan Kivell’s and co-producer of the book and a partially finished sketch of Kalaimanokaho’owaha, a Hawaiian Chief. Among the anecdotes that Nat shared was, that on being shown a map of Melbourne, Robert-Louis Stevenson said “When I think of Melbourne I vomit”. I can only hope for Melbournians sake that this may be inaccurate. I’ve only just been disabused of the idea that the quote, long attributed to Mark Twain, that “Newcastle [in New South Wales] consists of a long street with a graveyard at one end with no bodies in it, and a gentleman’s club at the other with no gentlemen in it” has neither primary or early secondary sources to attribute it to Twain. Unfortunately I ran out of time and couldn’t make it to see the exhibition, but it’s on for another month so it will go on the ‘must see’ list. 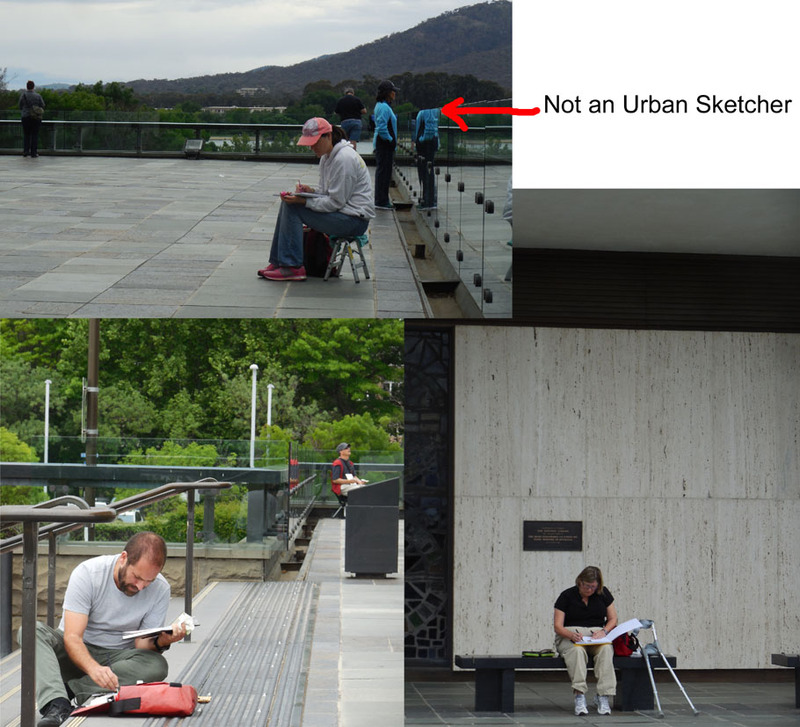 On Sunday we had our first official outing as Urban Sketchers Canberra, a goal we have been working towards since our sketching group started meeting in February this year. We had 15 people come along, including two people joining us for the first time. With a bad weather forecast we had to do a last minute change from our planned outside venue to one that offered indoor drawing opportunities. So it was off to the National Library of Australia (NLA). 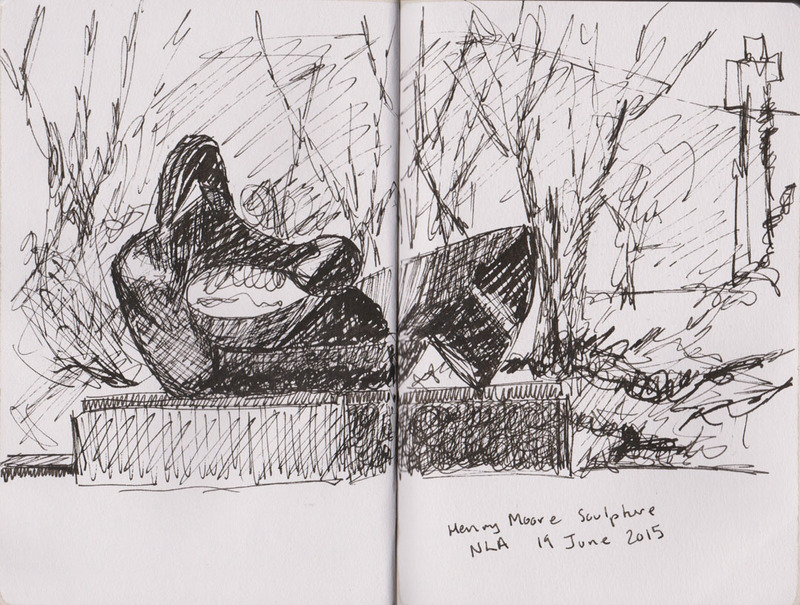 As luck would have it the rain held off for a bit so many of us took the opportunity to draw outside the building. 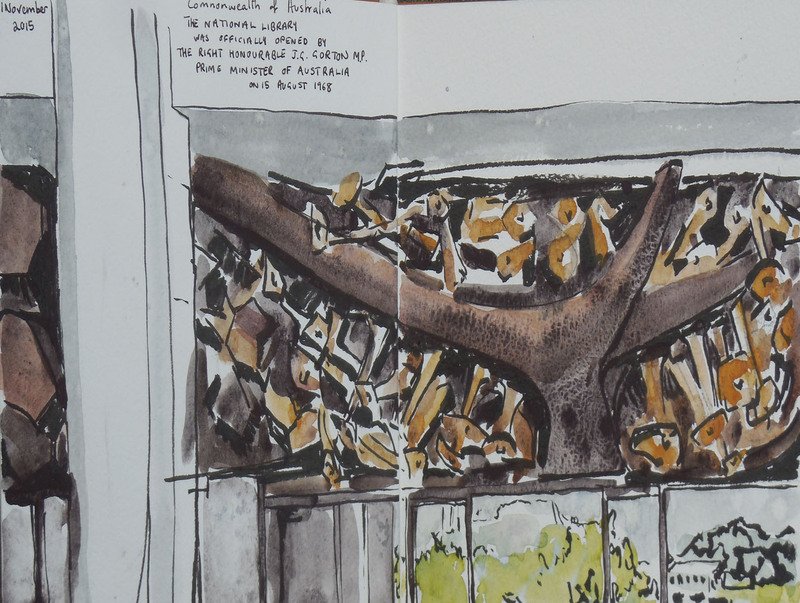 I decided to tackle a part of the building that I must say I haven’t paid much attention to before, the large sculpture above the entrance to the library. The work is called Knowledge and was designed by Tom Bass, who is probably better known to most Canberrans as the designer of the sculpture of Ethos in Civic Square. Commissioned in 1966 the work was installed on the building in 1968. At just over 21 metres in length, 2 metres in height and projecting nearly 2 metres from the wall this is a complex piece of work. 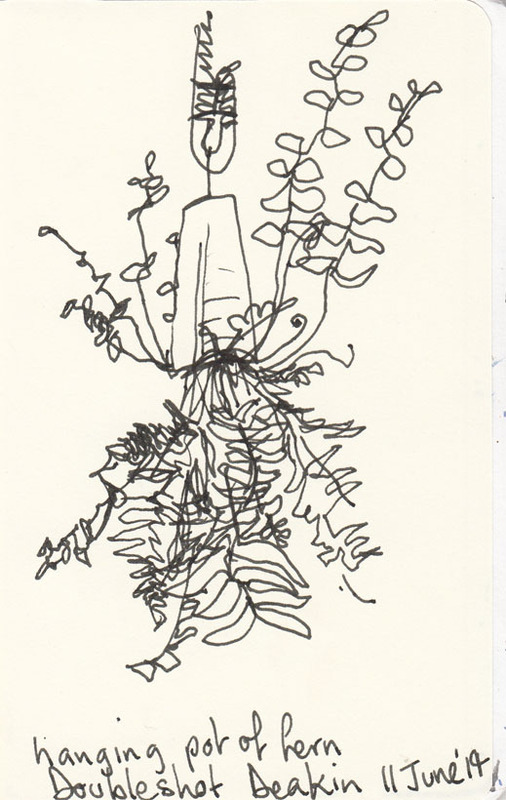 Indeed I didn’t really consider how complex until I tried to sketch the projecting elements of the work. I managed to get through to the start of the watercolour when it began to rain. 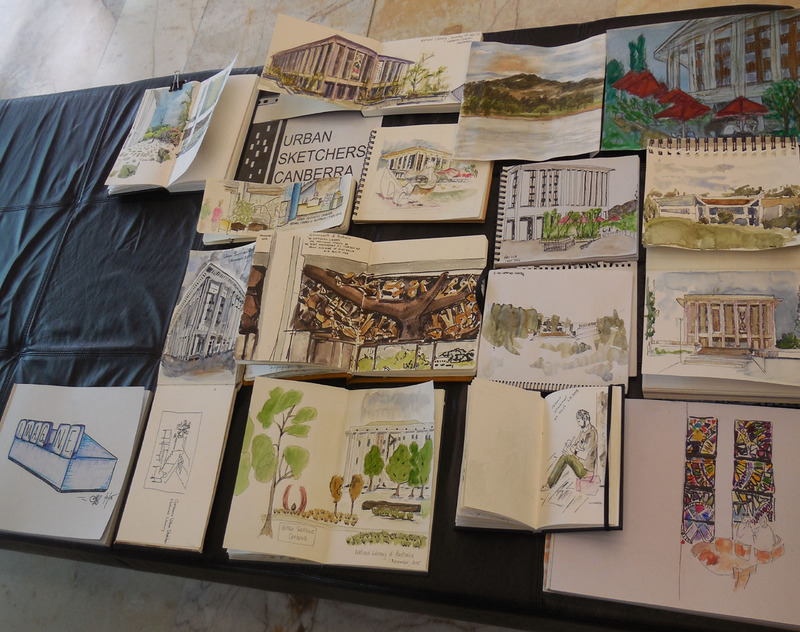 I retreated to the portico along with most of the other sketchers to complete adding the colour to my sketch. 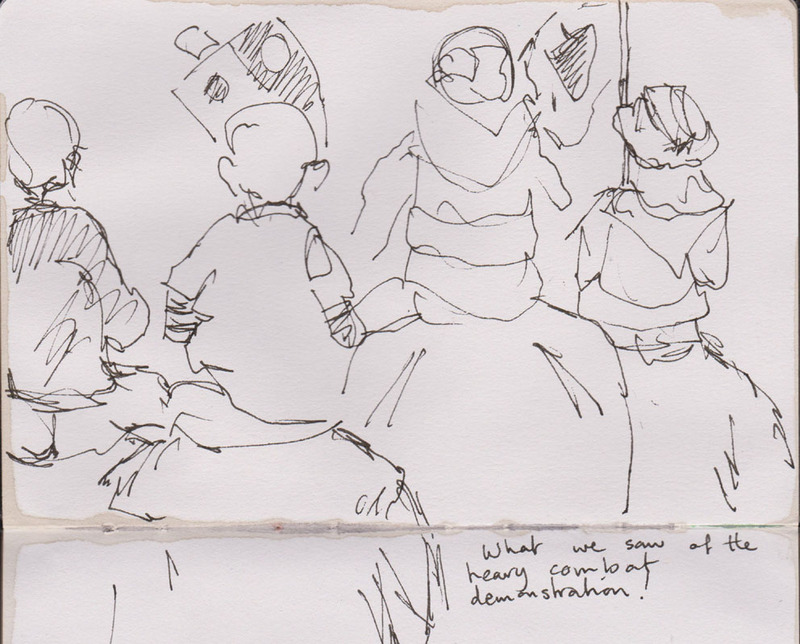 As is traditional we met up at the end of our two hours of sketching to compare our efforts. As always the subjects and approaches were quite varied. 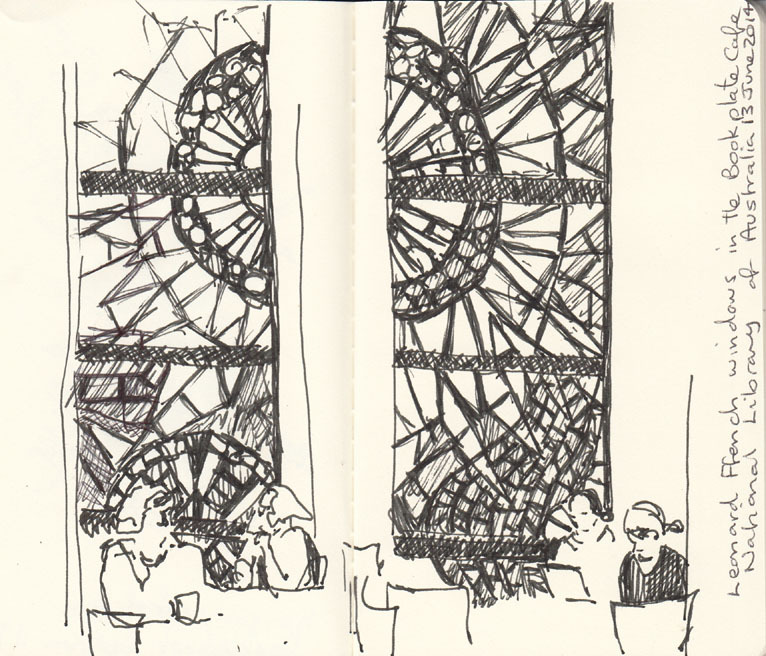 Discussions of the day’s work continued over coffee and lunch in the Library’s cafe. Some of us also looked at the exhibition of work of William Strutt currently on display in the Library. 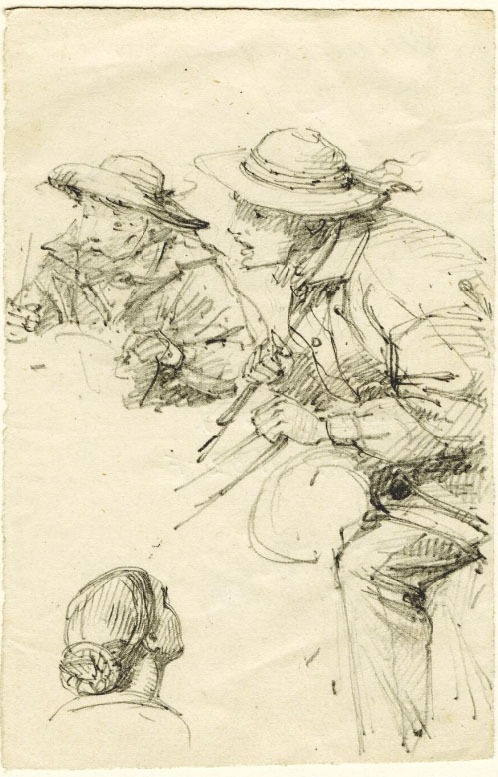 Strutt’s ability as a draftsman really stood out and we were in awe of his fine pencil sketches. 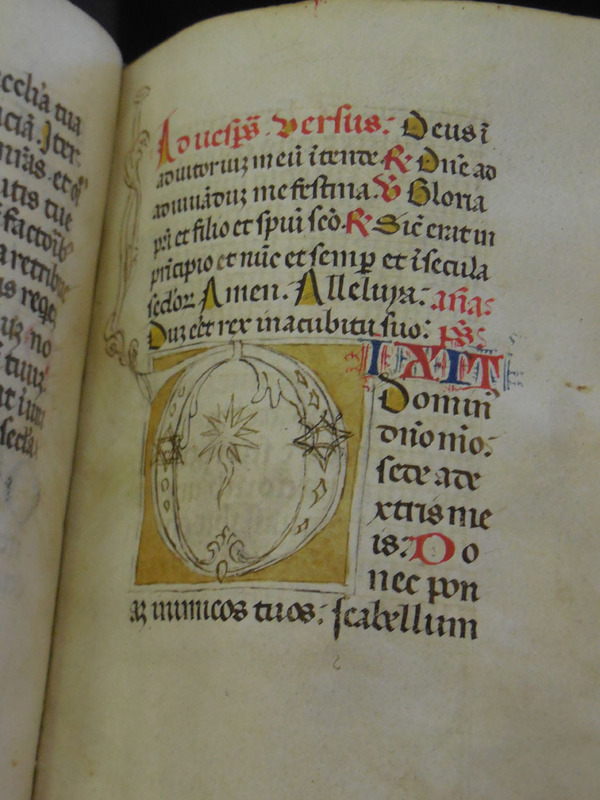 The National Library’s Medieval Manuscripts day was something I was looking forward to and it didn’t disappoint. Our guide for the day was Professor Emerita Michelle Brown and she was both very engaging and extremely knowledgeable. We were led through 1500 years of manuscripts, looking at materials, construction, images and text. 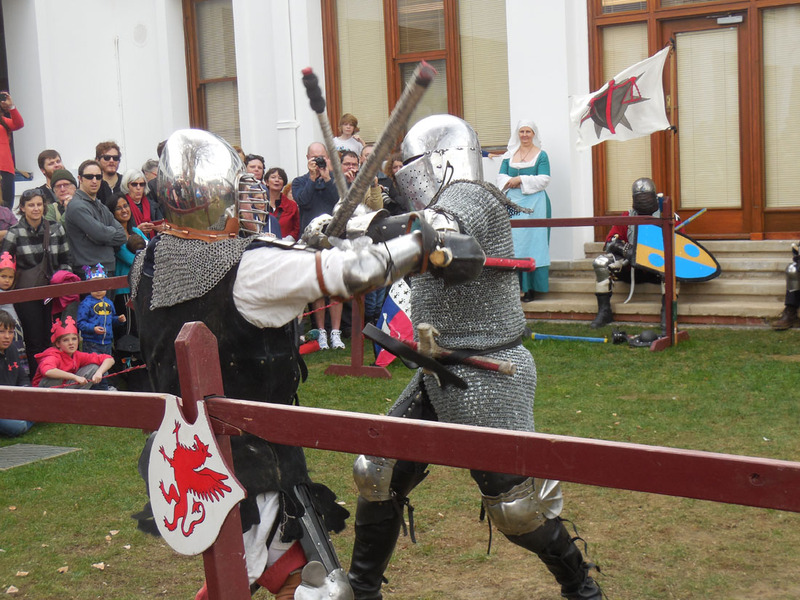 There was so much ground covered that I was grateful to have studied, albeit in my deep past, Roman civilisation, Byzantine and Medieval European history, which gave me something to hang onto as we careened through various historical epochs. The morning was spent looking at the development of tablets, scrolls and book forms, reed and quill pens not to mention the difference between parchment – made from sheep and goat skins and vellum – made from calf skins. Thankfully we were supported mid morning by yummy pastries and copious quantities of tea and coffee. We were diverted by interesting anecdotes such as the martyrdom of Saint Boniface, who held a book over his head in an unsuccessful attempt to save himself from the swords of the Frisians who killed him in 754. 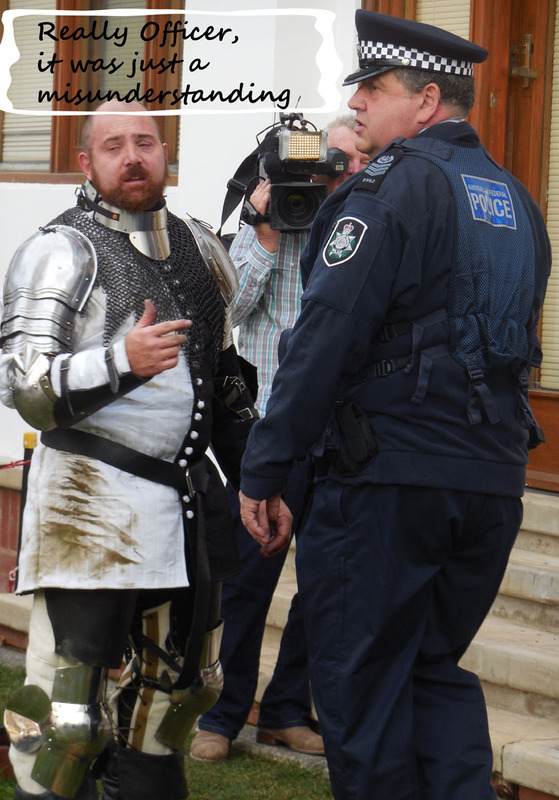 Indeed the very book he was purported to have held to protect himself, the Ragyndrudis Codex (Codex Bonifatianus II) still exists and is located in Fulda in Germany. 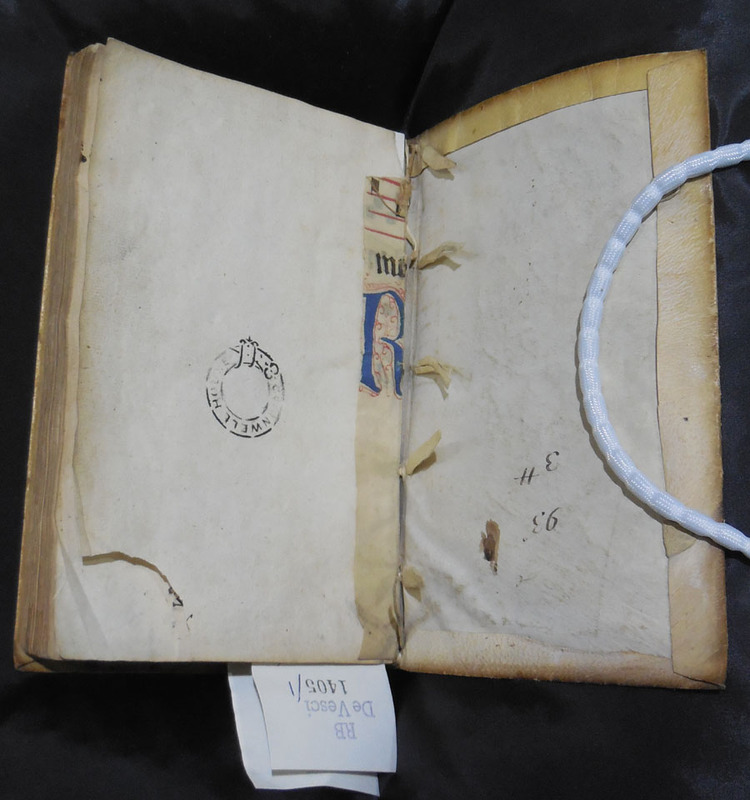 The afternoon session held the pleasure of getting very up close and personal to some of the volumes and fragments that form part of the Library’s medieval collection. 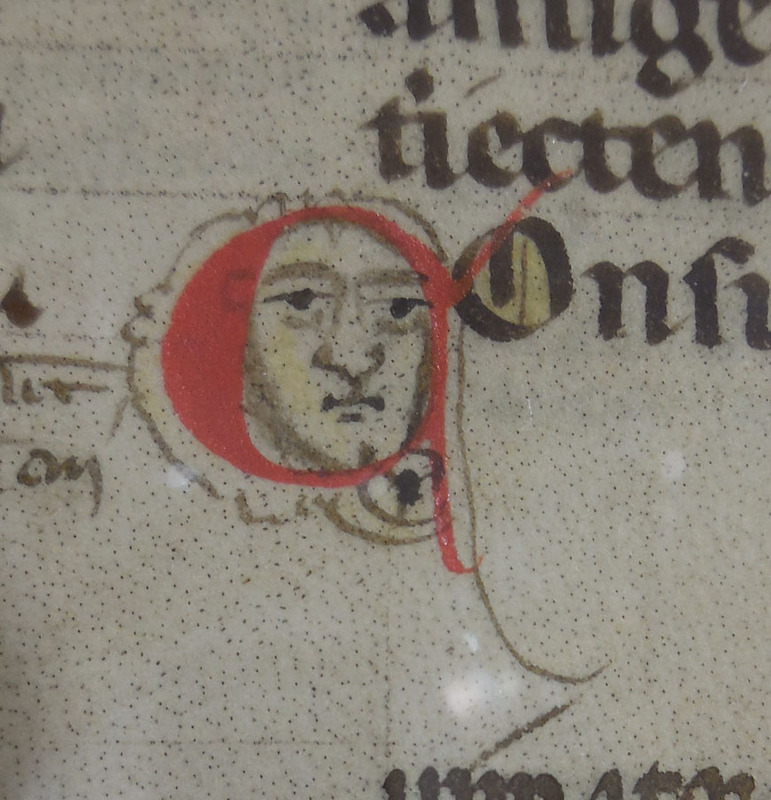 There were little faces included in capital letters – the faces below are about 1 cm in height. And we were given an insight into the manufacture of these books when looked at manuscripts with unfinished artwork in them. 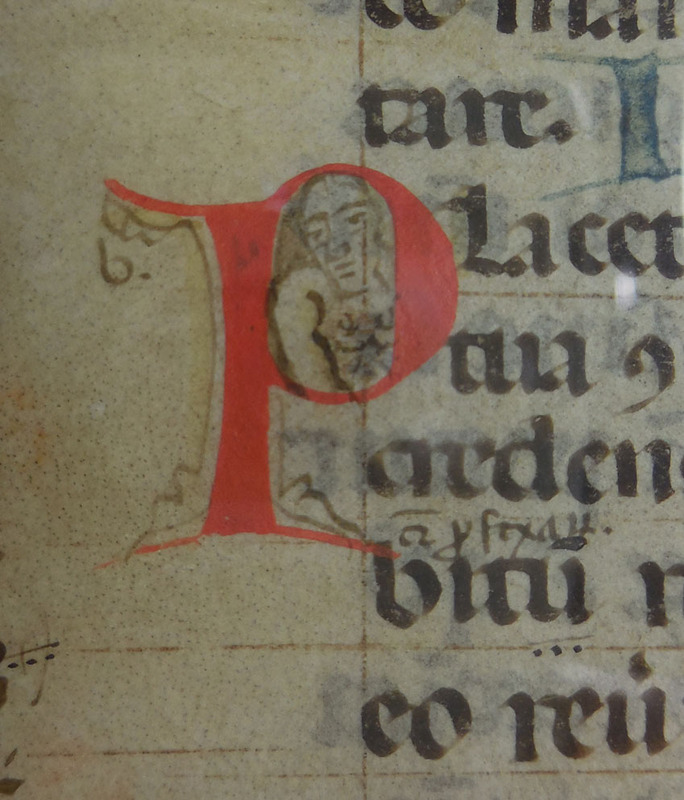 This is an unfinished ornamental capital in an Italian book from the 15th century. An unfinished ornamental capital, Mantua, 15th cent. Obviously this didn’t stop the book from being used and someone even thought they should have a go at completing the book themselves. 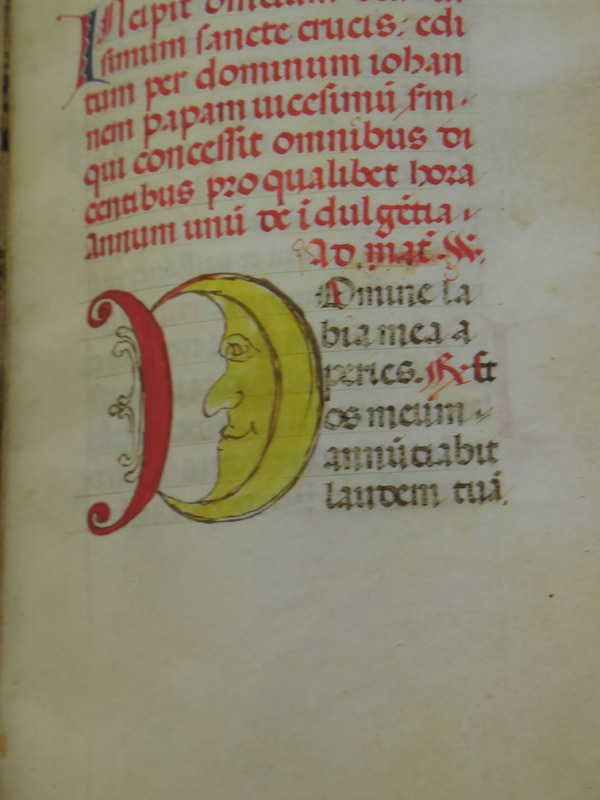 The man in the moon, addition to a capital letter, Mantua 15th cent. 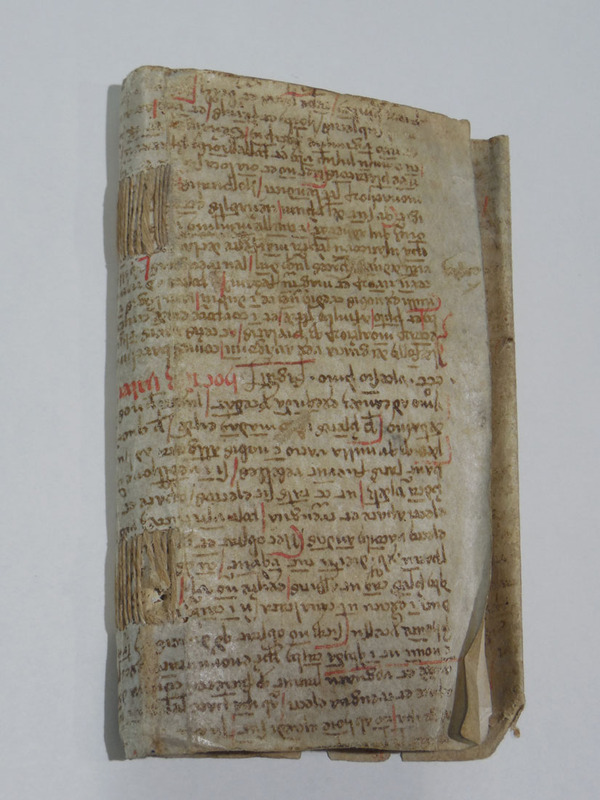 Manuscript re-used as a part of a book binding. and fragments were used to stiffen book spines and some pages were even used as pasting surfaces! The last part of the afternoon we spent looking at magnificent volumes such as the Luttrell Psalter (only images on the screen) and comparing the use of page layouts with contemporary web designs. Wow what a ride! I’m still trying to consolidate what I heard on the day and follow up all sorts of interesting images. Thanks to the team at the National Library and Professor Brown for such an amazing day. PS if you would like to look at the Luttrell Psalter, The British Library has a version that you can turn the pages of, click here. I particularly like the designs that act as ‘line fillers’ on each page.